According to The Daily Bell,” Loss of FBI Reputation is Irredeemable: James Comey Will Resign. It appears the FBI’s involvement and obvious cover-up in the deadly roadblock that killed LaVoy Finicum is just the tip of the iceberg. 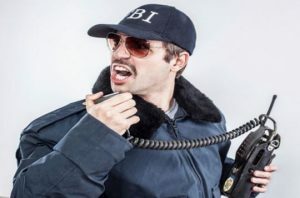 But those interested in the Oregon Standoff, the killing of LaVoy Finicum, the FBI’s highly troublesome involvement in the deadly roadblock, including deliberate efforts to escalate the incident, and the FBI’s undeniable cover-up and efforts to conceal involvement of HRT members in the incident, which is suppostedly still subject of an ongoing investigation, may be interested to know that the FBI’s troubles are not limited to its actions in Oregon.